The Grange Park Advisory Committee invites you to celebrate the completion of the revitalization project. Ribbon cutting ceremony at 1:30pm – Everyone gets to cut the ribbon! 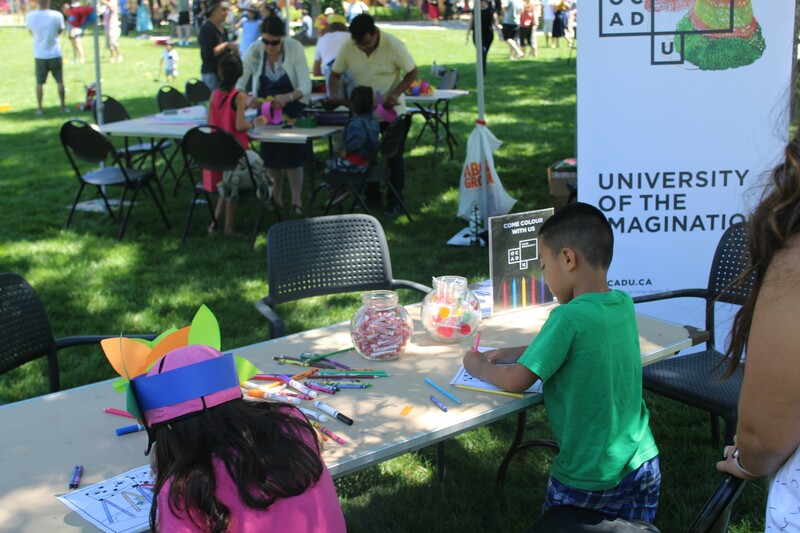 Refreshments, performances, art-making, face painting, dog portraits… and more! Read more about Let’s Celebrate Grange Park! 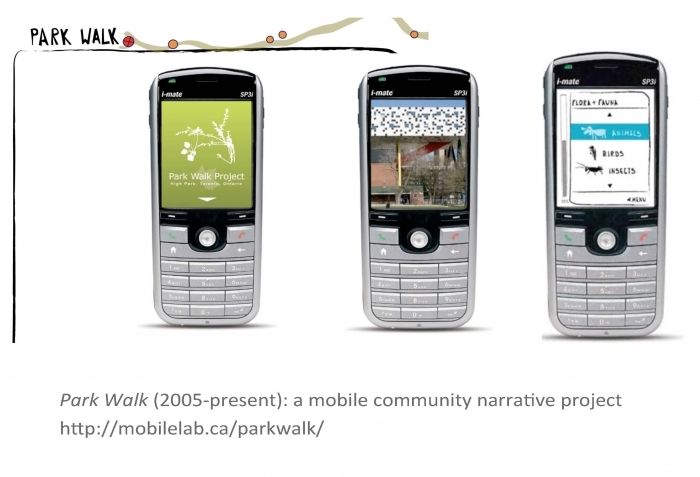 Park Walk is a mobile social and environmental mapping project, engaging aspects of trail orientation and nature identification, cultural activities, historical insights, and bio-regional mapping. The project invites contributions, in actual and virtual narrative space. Visitors may capture personal recollections in the park locations, to be taken away as a souvenir, or left behind onsite, and retrieved by others. 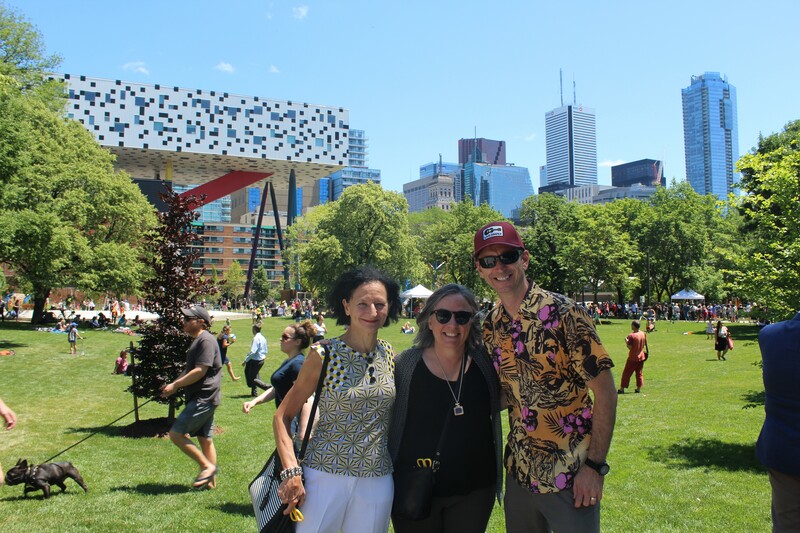 Over time, with the addition of community member’s and visitor’s experiences, a veil of user-generated narratives has become layered over the community park space. 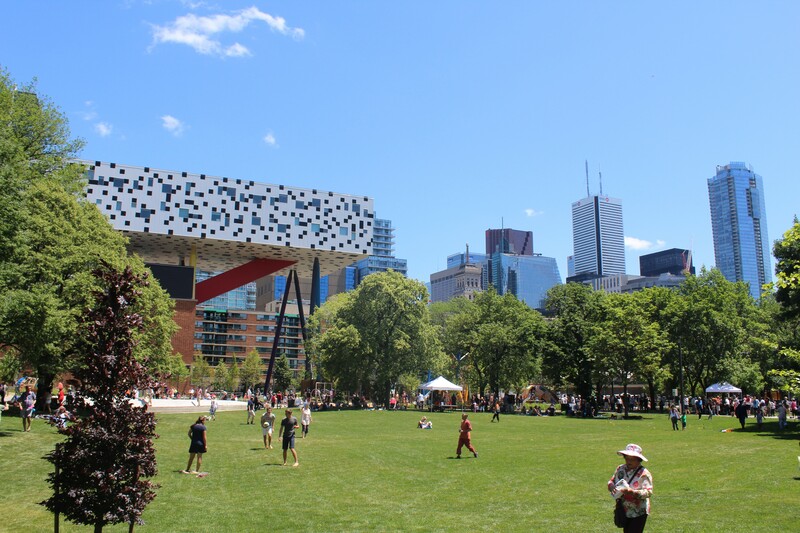 The Grange Park Walk is associated with both OCAD University and the Art Gallery of Ontario, whose buildings it borders. The project was initiated during the building of the new Frank Gehry addition to the AGO, and partially charts its progress, providing an historical timeline of the architectural construction, as well as a glimpse into the past, prior to the imposing new building’s presence in the park. The project is open source and available for collaboration or adaptation, with the hope of enabling deeper interaction between visitors, the community, and their public spaces. 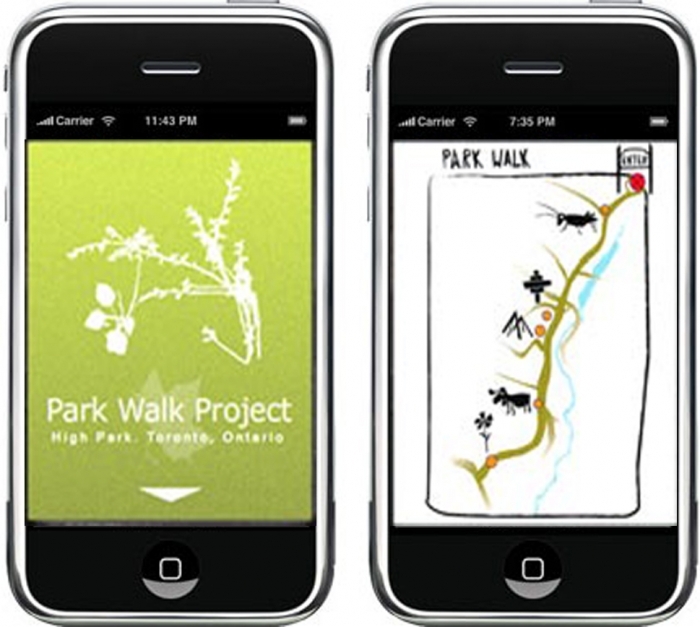 The Park Walk Project was developed by Martha Ladly and Bruce Hinds at OCAD University, as part of the Mobile Digital Commons Network, and has been designed and mapped to augment Toronto’s Grange Park and the Spring Creek Trail in High Park, and the Hoodoos Trail in Banff National Park, Canada. The Grange Park Advisory Committee (GPAC) cordially invites neighbours and friends to join in a spring clean-up of Grange Park on Friday, April 17, 2:00 to 3:00 p.m., as part of the City’s “Clean Toronto Together 2015” initiative. Please come to the south side of Grange Park just outside University Settlement to pick up your gloves and garbage bags. Toronto Parks department is providing rakes and paper bags to clear up the dead leaves.